On May 7, the preliminary protocol on surrender was signed in the city of Rheims. On May 8, representatives of the German High Command, in the presence of representatives of the Supreme Command of the Allied troops and the Supreme Command of the Soviet Troops, signed in Berlin the final act of surrender, the execution of which began at 24.00 hours on May 8. Being aware of the wolfish habits of the German ringleaders, who regard treaties and agreements as empty scraps of paper, we have no reason to trust their words. However, this morning, in pursuance of the act of surrender, the German troops began to lay down their arms and surrender to our troops en masse. This is no longer an empty scrap of paper. This is actual surrender of Germany's armed forces. True, one group of German troops in the area of Czechoslovakia is still evading surrender. But I trust that the Red Army will be able to bring it to its senses. Now we can state with full justification that the historic day of the final defeat of Germany, the day of the great victory of our people over German imperialism has come. The great sacrifices we made in the name of the freedom and independence of our Motherland, the incalculable privations and sufferings experienced by our people in the course of the war, the intense work in the rear and at the front, placed on the altar of the Motherland, have not been in vain, and have been crowned by complete victory over the enemy. The age-long struggle of the Slav peoples for their existence and their independence has ended in victory over the German invaders and German tyranny. Three years ago Hitler declared for all to hear that his aims included the dismemberment of the Soviet Union and the wresting from it of the Caucasus, the Ukraine, Byelorussia, the Baltic lands and other areas. He declared bluntly: "We will destroy Russia so that she will never be able to rise again." This was three years ago. However, Hitler's crazy ideas were not fated to come true - the progress of the war scattered them to the winds. In actual fact, the direct opposite of the Hitlerites' ravings has taken place. Germany is utterly defeated. The German troops are surrendering. The Soviet Union is celebrating victory, although it does not intend either to dismember or to destroy Germany. Comrades! The Great Patriotic War has ended in our complete victory. The period of war in Europe is over. The period of peaceful development has begun. I congratulate you upon victory, my dear men and women compatriots! 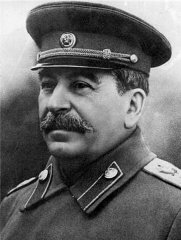 Eternal glory to the heroes who fell in the struggle against the enemy and gave their lives for the freedom and happiness of our people!"